As an elected official, the Sheriff serves as one of the chief law enforcement officers of Richland County, directing the activities of the department in detecting and preventing crime. 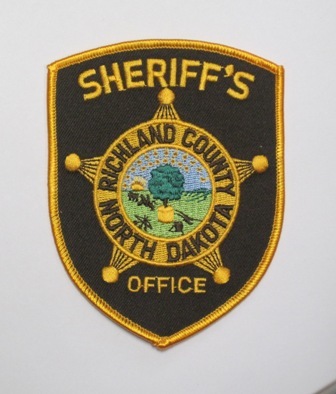 The enforcement of N.D. Century Code through the actions of investigations and patrol activities is done either personally or through sworn deputies. Additionally, the sheriff is directly responsible for maintaining the County Corrections Department for the security and welfare of inmates and public. The sheriff is responsible for developing, updating, and implementing policies and procedures in accordance of governing statutes with the review and approval of Richland County governing body. The sheriff is also responsible for all major administrative functions, including but not limited to budget preparation and monitoring, hiring, scheduling, evaluation of staff performances, counseling, purchasing of department items, directing the investigations of serious crimes and incidents, along with many other operational issues. Other duties and responsibilities of the sheriff department are to foster positive relationships between the public and county departments, conduct public and school safety presentations on topics such as alcohol and drug abuse, traffic issues, public safety concerns, and more. The sheriff also performs other activities assigned by the Board of County Commissioners when necessary. Currently the Richland County Sheriff’s Department is staffed by a sheriff, chief deputy, sergeant, investigator, civil/warrants deputy, truck regulatory deputy, two city contract deputies, four other deputies in patrol, one administrative assistant and one secretary. All 12 uniform deputies including the sheriff are peace officers. The Richland County Corrections Department currently consists of a chief corrections officer and eight corrections officers.